NBA 2K League was struck with controversy Wednesday night as a fight broke out after a match between the Atlanta Hawks and Boston Celtics' gaming teams. Albano "oFAB" Thomallari, point guard for Celtics Crossover Gaming, shoved Randolph "Rando" Moreno of Hawks Talon GC during a post-match handshake line. As the teams shook hands following the match, Rando appeared to extend his hand out for a handshake to oFAB. In turn, oFAB refused the handshake, bumped into Rando and then shoved him. Yes, it's as bizarre as it sounds. The broadcast team at the NBA 2K League proceeded to cut to an intermission screen and roll some electronic music. There wasn't a conclusion or update following the return from break, either, as if the production wanted viewers to completely forget about the tussle. 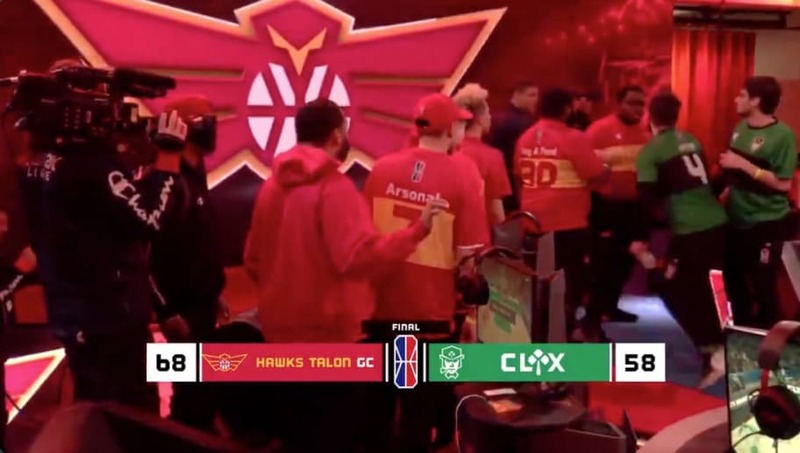 None of the NBA 2K League, CLTX Gaming or Hawks Talon GC have issued a statement regarding the incident.